With a population of over 14 million and a thriving industrial sector, Ontario has the second highest energy demand in Canada; a demand supplied in no small part by Bruce Power – Canada’s first private nuclear power generation plant. With a history that dates back over 50 years, the Bruce Power site supplies 30% of Ontario’s energy needs and in 2013, became one of the world’s largest operating nuclear facility. Recently, Bruce Power was undertaking a construction project at the plant, and contracted our client, an Edmonton-based construction services company, to ensure the project’s successful completion. As a member of an award-winning, international family of construction companies, this client has a track record of excellent service and successful projects in the oil and gas, refining, petrochemical, mining, power and cogeneration, and pulp and paper industries. With construction scheduled to take some time, our client needed a versatile temporary power system that would be able to adapt to the project’s evolving power needs. Trinity Power was an obvious choice, with our wide selection of highly adaptable temporary power equipment and in-house experts who are able to configure that equipment to suit any application. In order to power multiple construction trailers and panels, Trinity supplied a 400A 600V I-line panel which fed a 150kVA 600V – 120/208V distribution centre and allowed for scalability in terms of future load requirements. 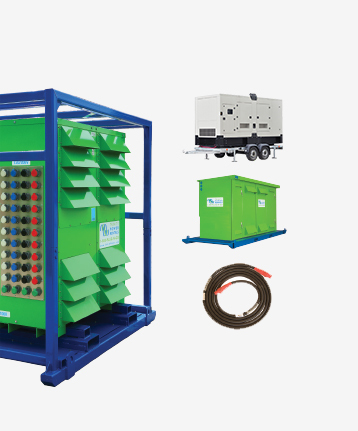 Each unit was configured for both camlok and pin-and-sleeve cable, allowing for customer hardwire connections and temporary cable connections, in order to meet the client’s diverse needs. On top of the temporary power equipment, Trinity arranged to have a crane on site to help offload the equipment. Thanks to Trinity’s large inventory, versatile equipment and knowledgeable specialists, our client was able to provide a solution for their client that will accommodate this long-range project’s changing requirements. 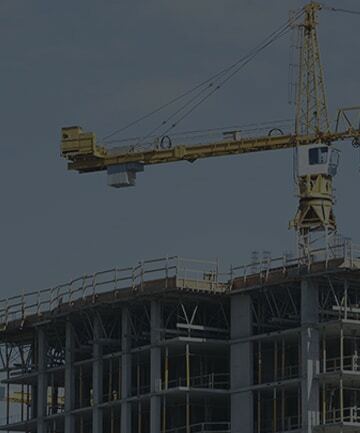 TEMPORARY POWER SOLUTIONS FOR THE CONSTRUCTION INDUSTRY. Find out how we worked with the site’s existing infrastructure to create a generator-free solution.